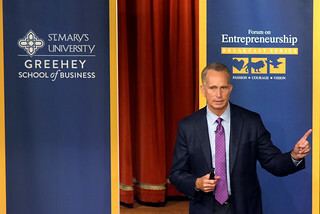 The Meadows Center for Entrepreneurial Studies promotes and encourages entrepreneurial thought, business and activities locally, regionally and nationally. 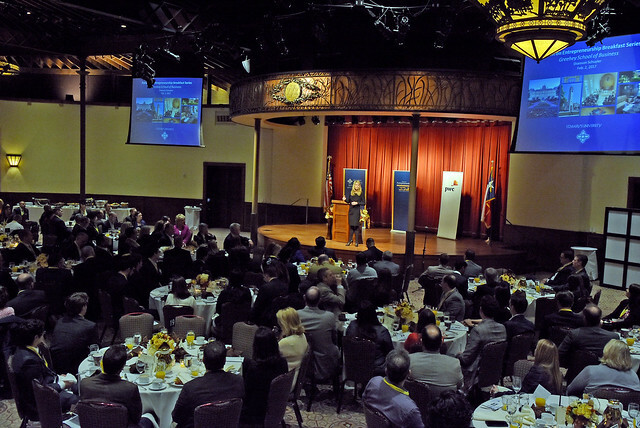 The purpose of the Forum on Entrepreneurship Breakfast Series is to offer the larger San Antonio community and students of St. Mary’s University a forum to hear from some of the most talented individuals in industry and government. Funds generated from the series support student scholarships and encourage entrepreneurial activities in San Antonio and the region. The Forum on Entrepreneurship Breakfast Series attracts two to three hundred attendees to its bi-monthly breakfast meetings. James Garvin, Ph.D., CEO, president and director of CytoBioScience, Inc.
Bill Greehey, chairman of NuStar Energy, L.P.
Kellie Fischer was appointed Chief Financial Officer of the Texas Rangers in March 2005. She oversees all financial matters and purchasing for the Texas Rangers and serves on the Board of Directors for the Texas Rangers Baseball Foundation. Fischer joined the Rangers in 1999 and has served in many roles for the Rangers’ former parent company, Southwest Sports Group, and the Dallas Stars. Prior to joining the Rangers, Fischer spent four years at PricewaterhouseCoopers LLP in the audit division of the Dallas office. She earned her B.A. in accounting from Baylor University in 1995 and is a Texas CPA. Fischer is a member of The Dallas Assembly, International Women’s Forum and is an alumna of Leadership Dallas. Fischer’s commitment to the community extends beyond the doors of the Texas Rangers. 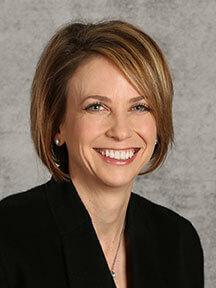 She serves on the Board of Directors and the Executive Committee for the Arlington Chamber of Commerce. Fischer also serves on the Finance Committee for the Arlington Chamber of Commerce and the Susan G. Komen Race for the Cure. She was named the 2010 Chief Financial Officer of the Year for private mid-size companies by the Dallas Business Journal, the 2012 Chief Financial Officer Game Changer of the Year by the Fort Worth Business Press, the recipient of the 2013 Herbert H. Reynolds Outstanding Young Alumni Award of the Baylor University Alumni Association, and one of the Dallas 500 Business Leaders by D Magazine in 2015. Fischer and her husband, Scott, reside in Dallas. Event will be held at the Pearl Stable. 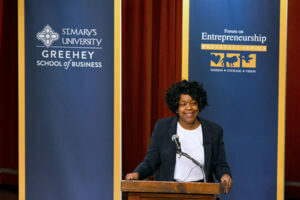 Registration begins at 7 a.m., followed by the program from 8-9 a.m.
To renew your sponsorship, become a new Forum on Entrepreneurship Sponsor, or for additional information about attending, contact forumbreakfast@stmarytx.edu or 210-436-3124. Hector Hernandez, Hernandez Financial Strategies L.L.C.